Gerry Saddler, of SASA, has been working on secondment to the project. Speaking to growers at an event held at James Rhind and Co’s farm at Woodside, Kinloss, on the Moray coast, he said: “Blackleg is a problem all over northern Europe and it is by far the biggest reason for the downgrading and rejection of seed in this country. In Pre-Basic Four crops (PB4), post-harvest surveys revealed that 100% of crops tested were infected with pectobacterium atrosepticum, the blackleg pathogen. Ian Toth, of the James Hutton Institute, agreed explaining that the bacteria is very diverse and there are many routes for contaminants. For instance, by the 12-week stage, most of the infection is concentrated in the roots and tubers, so contaminated machinery might be playing a part in the spread. Tactics such as separation of Pre Basic fields for years one and two, isolation of PB fields from outside sources and diagnostic testing for contamination on the tuber surface are recommended. Host farmer Gordon Rhind has three open-fronted “drying wall” systems on his farm. Commenting on their effectiveness Stuart Wale, of SRUC, said: “Imagine you’re a blackleg microbe – what you love best is moisture and heat. 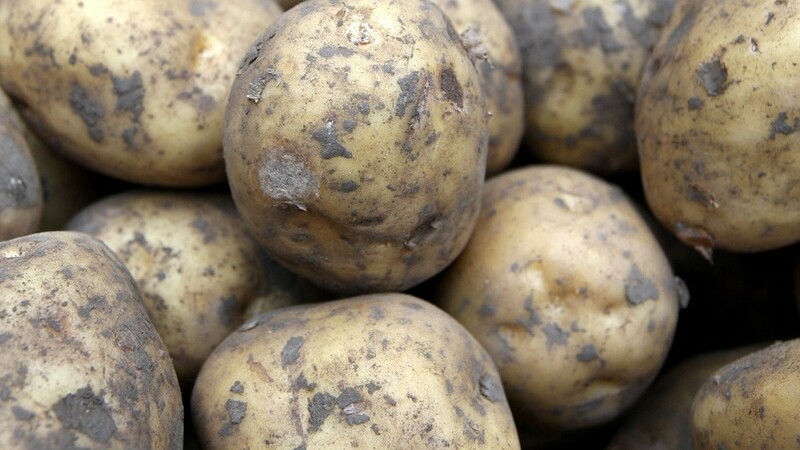 So get your tubers dry quickly, ventilate them for up to seven days and blackleg bacteria will die much more rapidly. Brechin-based seed grower and AHDB Potatoes board member Alistair Melrose welcomed the grower gathering. “Over the years, we have battled to control blackleg with varying degrees of success,” he said. The project partners will be in attendance at the Potatoes in Practice event at Balruddery, near Dundee, on August 13.